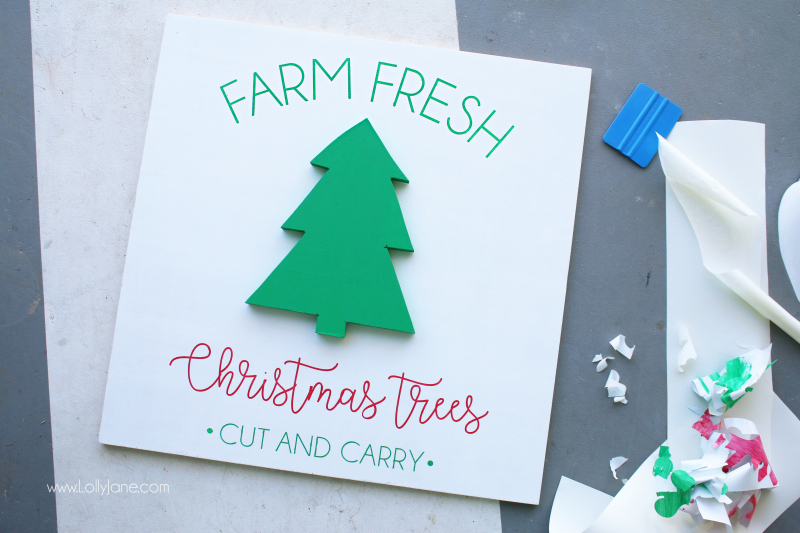 Farm fresh Christmas tree signs are all the rage right now. 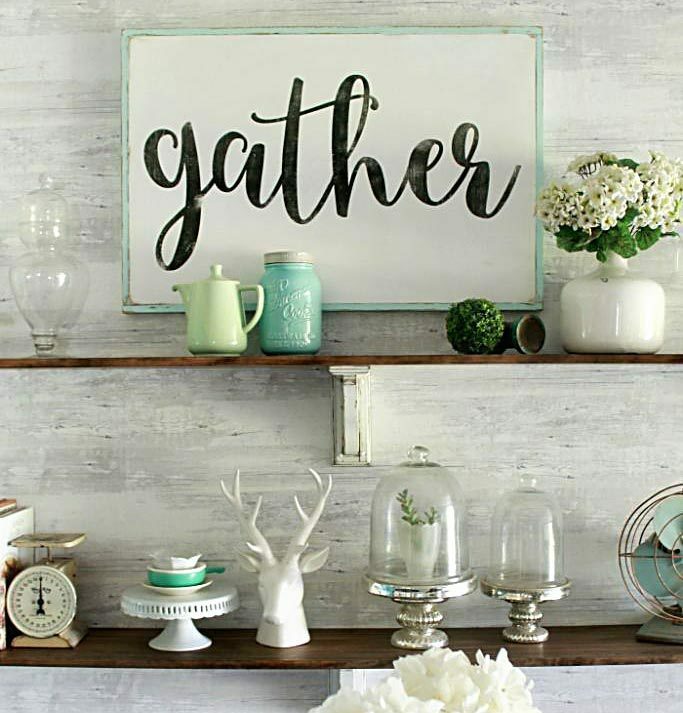 We’ll credit our favorite HGTV trendsetter, Joanna Gaines, for this decor epidemic. 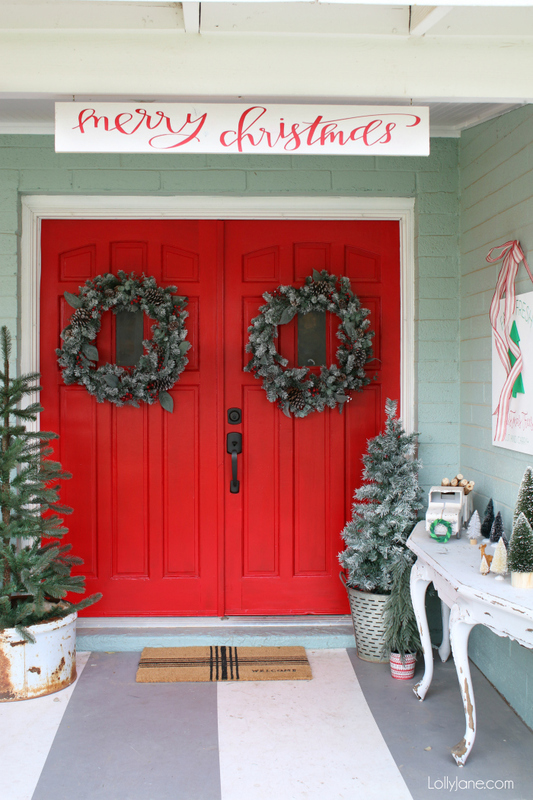 Ever since her Christmas tree sign above her sink was shown, hundreds of similar ones have popped up all over the web and Instagram. 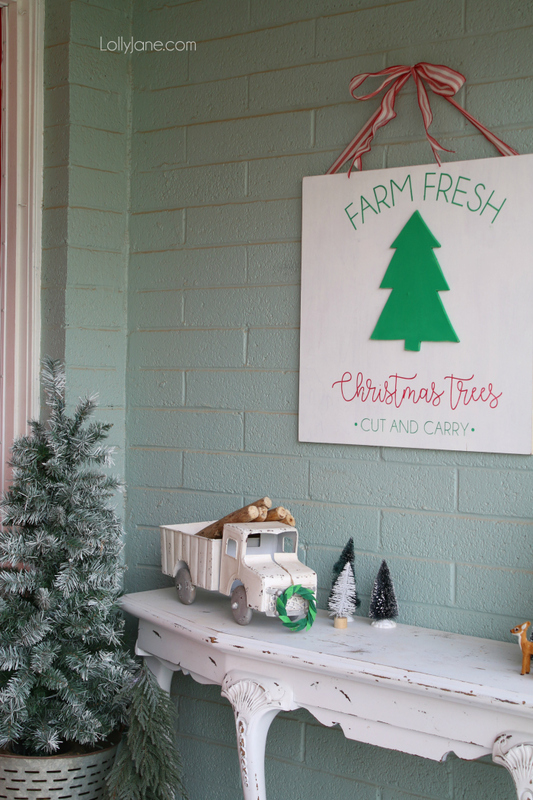 We added our faux vintage Christmas tree farm sign in the mix of our recently shared front porch Christmas decor and love how it ties in with all my bottle brush trees. 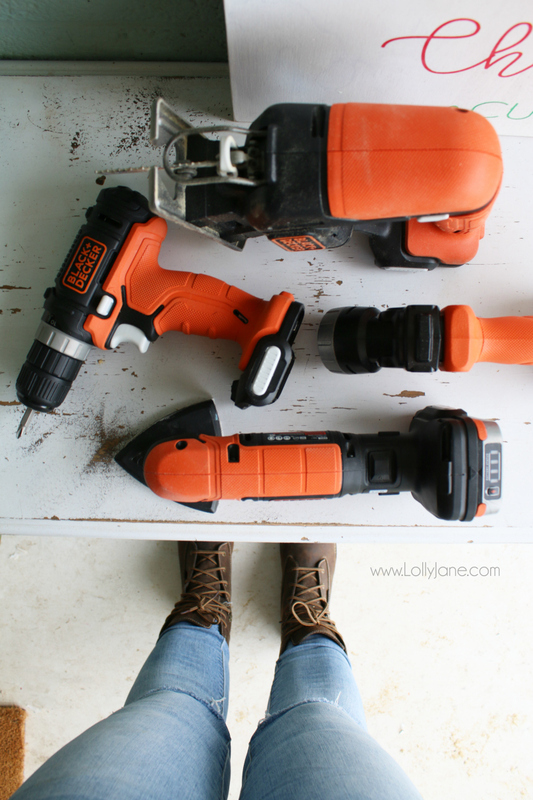 And since we love all things DIY and thrifty, we’ll share with you just how easily we made it while using the new GoPak Tools from BLACK+DECKER. It made this sign tutorial a total breeze. Bonus: It’s the perfect gift to put under the tree this year since the whole set arrives in a tidy little box! 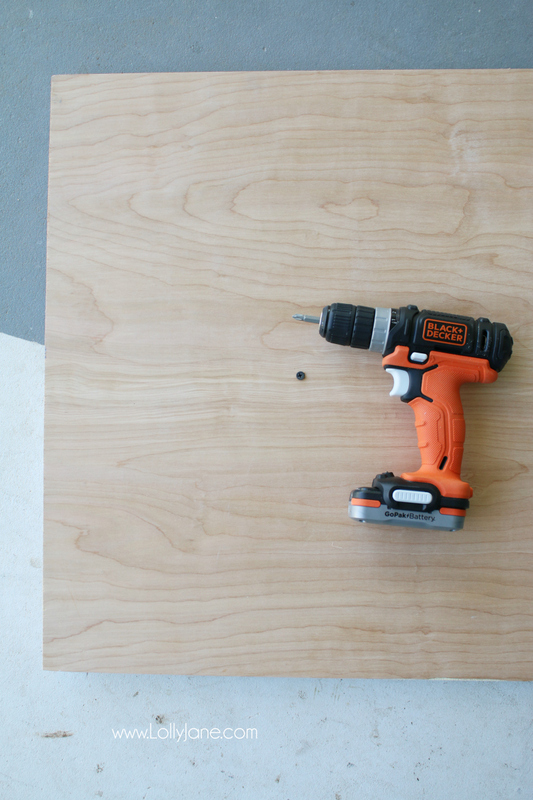 You just need your GoPak Tools from BLACK+DECKER, a piece of 24″ x 24″ wood and paint. Check out how much fun we had making the sign in this video then read on for the step by step as well. 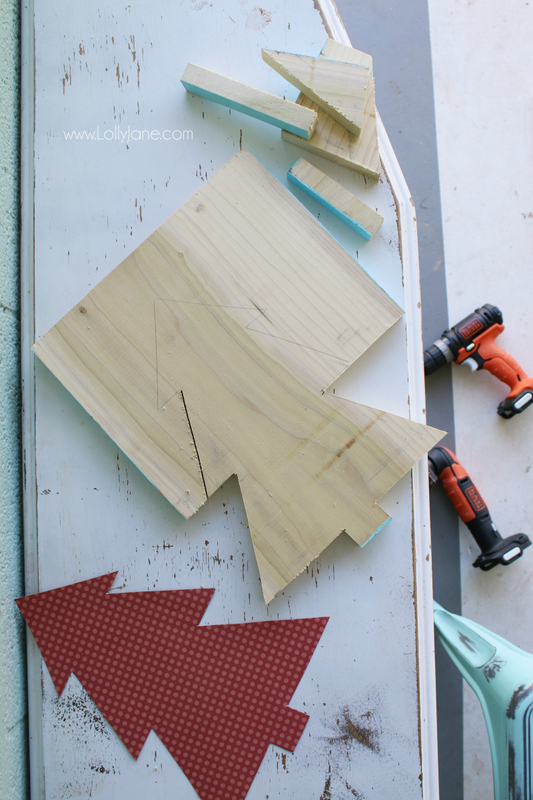 To make your sign, sand your birch wood down, especially those edges. 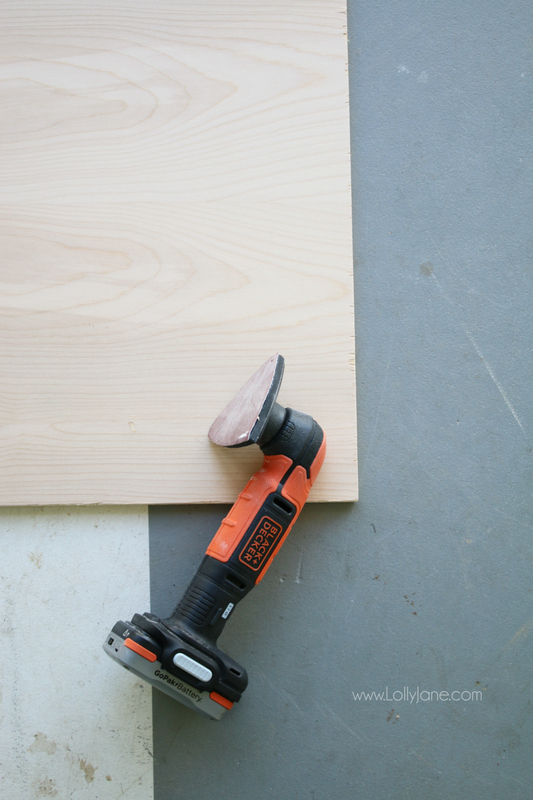 The sander gets the job done with little effort! We freehanded this tree stencil onto cardstock then traced it onto a piece of pine wood. 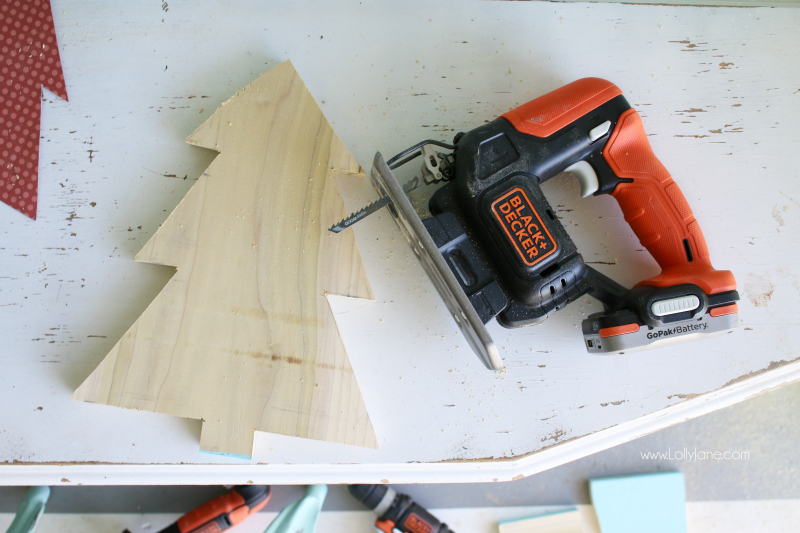 Look how easy it is to make a wood tree. 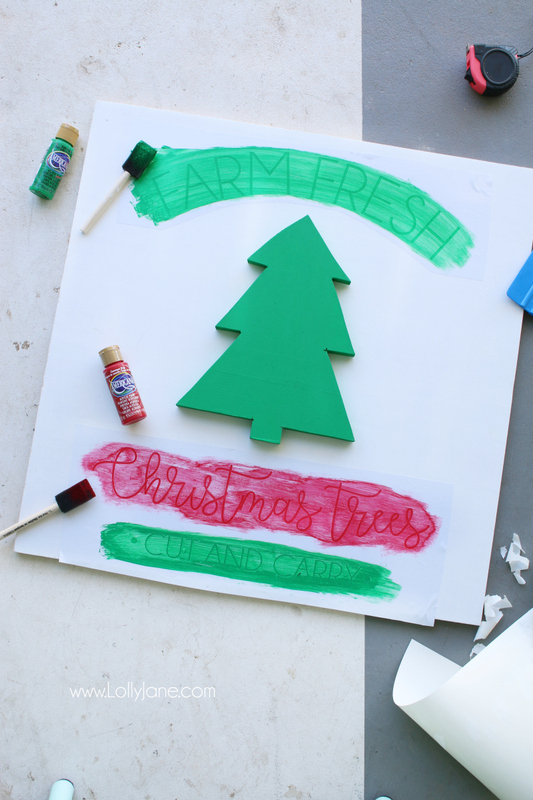 This hand-drawn tree stencil is a breeze to cut out with a cordless jigsaw! Swap your battery then sand down the edges. 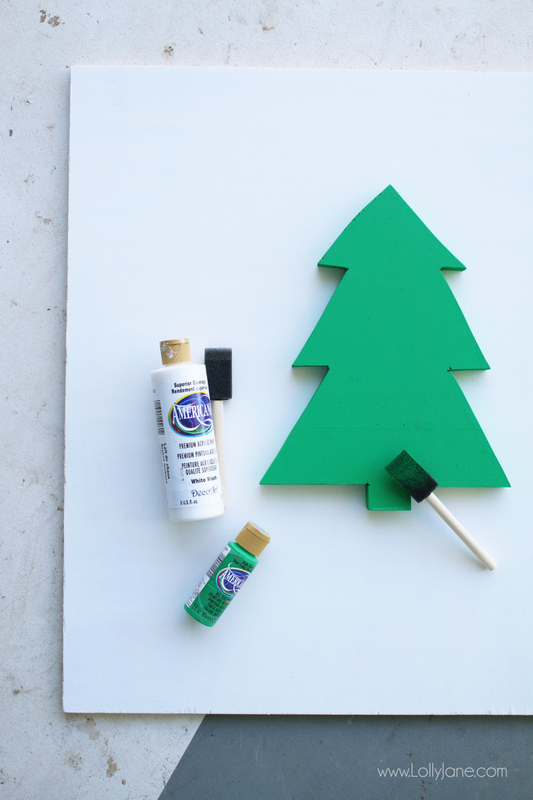 We chose to paint our tree a traditional green and the background a clean white. We screwed the tree into the back with a push of a button! So easy to pop the battery in and out to swap tools in the middle of a project. We used our vinyl cutter to make a stencil then painted inside with some traditional paint colors. There you have it! Super easy to make! 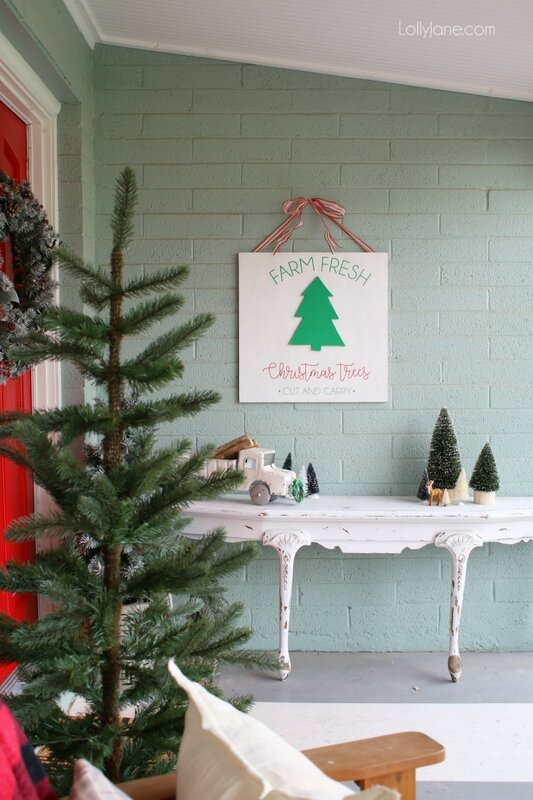 This Christmas tree farm sign would make a great Christmas craft with the neighbors, an affordable gift and lovely in your own home. 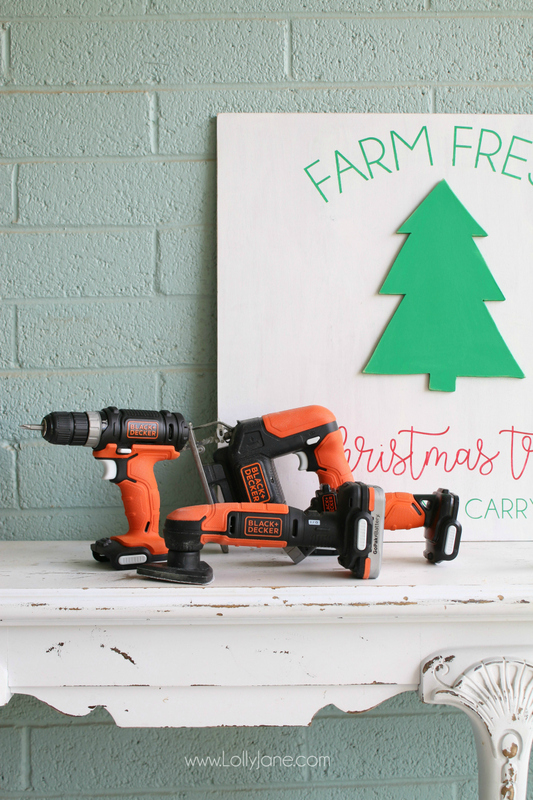 Better yet, gift the sign with the GoPak Tools from BLACK+DECKER to win the Best Gift award from friends + family! 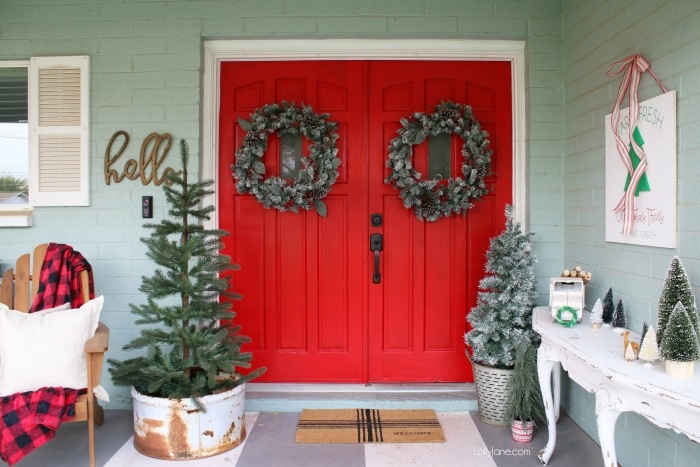 I used a staple gun to add ribbon to the back of mine to hang it on my Christmas front porch. What’s your favorite tool of the four pack? 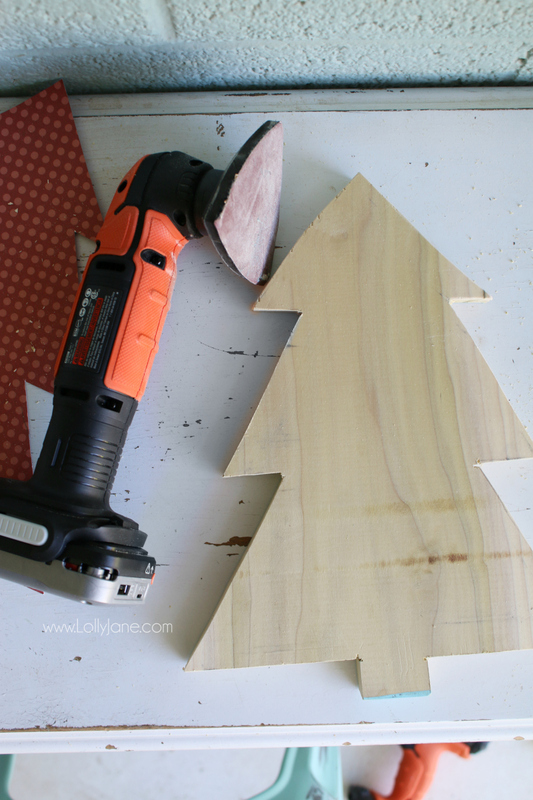 I love your Christmas tree sign, but do not have the tools to make one. Would love to give one to my granddaughter for her wedding, as she is getting married on a Christmas tree farm in Washington. Do you make them to sell and how much would you charge?